Read part one and part two first! It’s only 2 hours until I return home (down the street), but I feel like I am in a recovery room. I can now return home to my kids, rested. Connected to my husband and ready to take on a night of sleepless-ness, if it finds me again. (who am I kidding. When it finds me again…). So the short of it, will I stay-cation again? Yes. And No. I do think our family needs to vacate the physical property of our home to connect. Sad, but true. But being home was relaxing. It would have been even more relaxing if I could have stop stressing about maximizing every single minute. Amid the multi-day flu my kids had, we still managed a Legoland trip, a family jaunt to the movies and an evening where Dave and I enjoyed The Yamazaki, a Japanese whiskey. As I type this, while a swarm of sitters collect their stuff to leave, I feel guilty not doing anything touristy. I am sitting in my office. The weather is glorious today. A perfect beach breeze wanders into our house. The girls play with Legos. Our baby son naps, and yet – I know we aren’t going to the beach, jumping in the pool, or grabbing tennis racquets – like I had fantasized. Why? Because we are so freakin’ tired. Like parents of three kids, tired. And part of my stay-cation taught me to just honor that tiredness. Be still. Be restful. And be appreciative of our home. Of course, for our next stay-cation, (because I think we should do this once a year) I hope can we become true tourists! 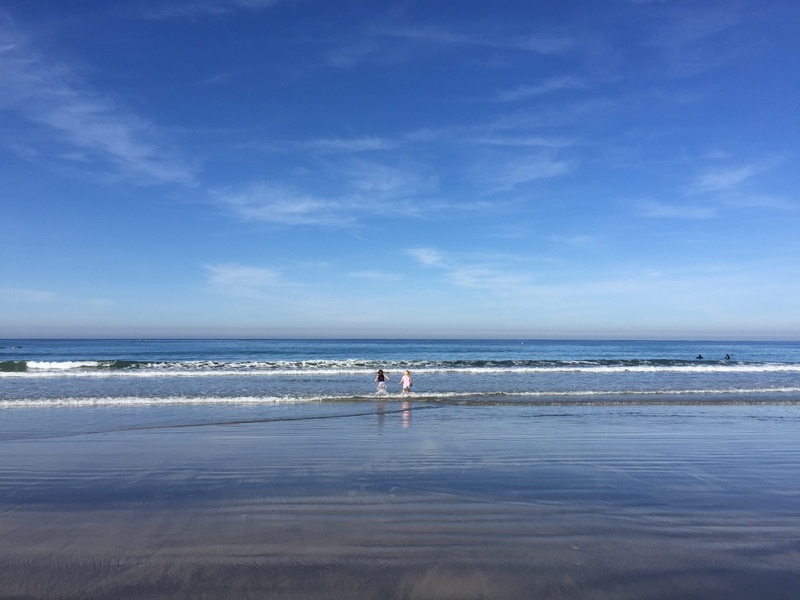 Because I really want to hike Sunset Cliffs, kayak off of Coronado Island, drive to Julian…sometimes, my husband says that just the list of my ideas are exhausting to him. I guess I could be still and pet my dog. She is the biggest fan of the stay-cation idea, after all.